Bisigi Project released 14 Great themes for ubuntu. The themes are applicable for any gnome desktop. In ubuntu you can directly install from ubuntu repositories. There are 14 different themes for Ubuntu 10.04 and all other linux distros specially Arch Linux, Frugalware, Mandriva. A stable version of Ubuntu Lucid repository is available. Follow the post to install 14 stunning themes for Ubuntu Lucid, Karmic in just two steps. Some screen shots of the Ubutnu 10.04 theme . That is all Have Fun —!! Unfortunately no direct repository available for fedora or any other linux distribution eventhough the theme is made for gnome. To install bisigi theme for fedora or any other linux distribution you want to use some trick. Murrine Engine is a Gtk2 theme engine, using the Cairo vector graphics library. It comes by default with a modern glassy look, inspired by Venetian glass artworks, and is extremely customizable. extract the tar.gz file . 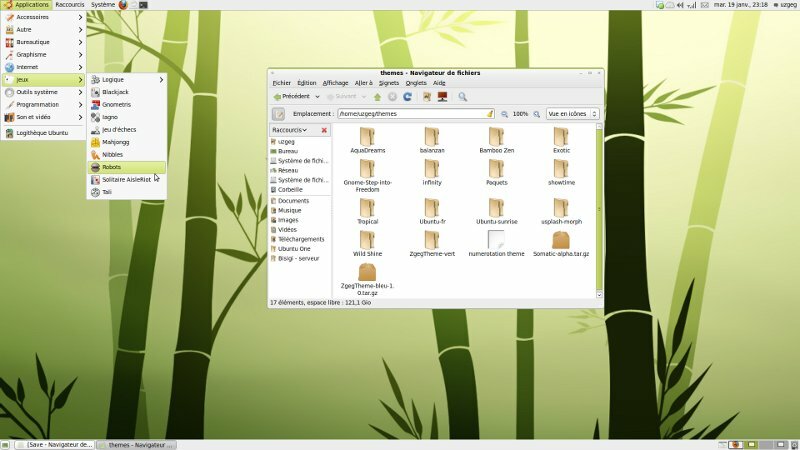 You will get directories like Gtk, Icons, Wallpaper, debian Emerald etc..
you can see the current themes installed. Drag the tar.gz files in the gtk folder and icons folder into the themes tab. Then it automatically get installed. Copy the wallpaper to your pictures folder and apply it as the desktop wallpaper. That is all. If you are using emerald as the theme manager you can install the emerald theme.